In our book, few genres embody the feeling of summer as closely as dream-pop. There’s something about upbeat, ambient sounds that make us want to break free from the chains of our daytime confines and enjoy the fleeting sun here in Seattle. 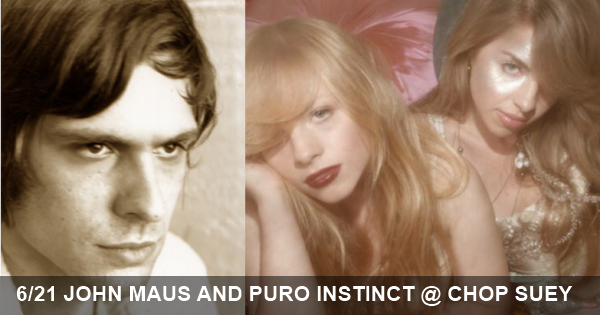 If you feel the same, a one-two punch that you definitely won’t want to miss on this first day of summer is Chop Suey’s lineup of John Maus and Puro Instinct.